Haze started out as a multiple-Sativa hybrid with roots in Central America, South India and Thailand. Developed in the days before indoor growing and cultivated below 30°N, her breeders were not restricted by factors like height, yield or short summers. As indoor growing gained popularity in the Eighties, true Haze began to disappear. Though smokers still adored the soaring high, growers found her slow flowering, low yields and unstoppable height-gain impractical for indoor production. Silver Haze was the first seed strain to offer a solution by delivering the full-strength Haze experience in a fatter, faster, more compact form. Together with NL#5xHaze (her taller sister), Silver Haze helped reverse the decline of the psychedelic Sativa. As soon as such frosted, pleasingly dense tropical crops could be produced efficiently with lights, ganja lovers all across the globe were able to sample that supreme high and the Haze cult rapidly spread far beyond its original circle of devotees. The original Haze has had both its outrageous height gain and interminable flowering period brought under control by breeding with an extra-potent, non-dominant individual from the Northern Lights line. The dark Afghanica also throws its weight behind the feathery Sativa budding pattern, adding bulk without affecting flower formation.Silver Haze should still be expected to triple her vegetated height in flowering, so seedlings and clones may be flowered almost immediately in close-cultivation methods like SOG. Silver Haze buds are composed of long, silky pistils sprouting from oval calyxes which surge along the stem and branches to fill the gaps between internodes. Afghani influence is seen in the strain’s thick layers of silver resin glands and the way her calyxes swell, adding density in the final weeks of flowering. Silver Haze® is a regular strain, which will produce male and female plants. Silver Haze® has won a Cannabis Cup or another Cannabis Award. The Silver Haze® strain has large proportion of Sativa genes in its background. Silver Haze® will have a relatively long flowering time. Silver Haze® will grow substantially during the flowering phase. 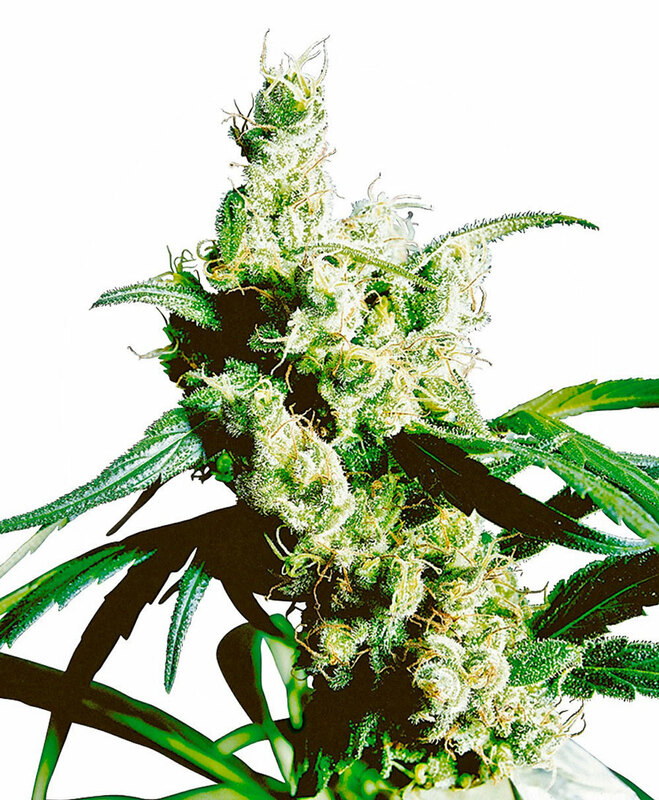 Silver Haze® can be grown outside in a warm, sunny climate with a long summer. Silver Haze® Seeds is added to your shoppingcart! Silver Haze® Seeds is added to your wishlist!